The battle at Ferme du Bois doesn’t ring many bells, does it? It has, I think I can confidently say, passed out of popular memory. And the reason for this may well be that it took place a day before the infantry attack on the Somme and has become heavily overshadowed by the fighting there. We know that by the end of the first day of the Somme the British had suffered 60,000 casualties, of which 20,000 were dead: their largest single loss, but Sussex’s worst day had taken place 24 hours earlier. At 3:05am on 30th June 1916, men of the 11th, 12th and 13th Southdowns Battalions of the Royal Sussex Regiment – battalions raised at the outbreak of war by Conservative Politician and owner and resident of Herstmonceux Castle, Claude Lowther – went over the top. Their objective was a salient, no more than a bulge in the line, known as ‘The Boar’s Head’. It was to be a diversionary raid, designed to take attention away from the main attack planned for the 1st July. Unfortunately, the Germans knew that they were coming. Officers looking through trench periscopes at the lines opposite saw that the Germans had put up signs on their parapets which read “When are you coming over Tommy?” The artillery bombardment at Richebourg had acted as a calling card and had had little effect on the German wire. As a result, the attack was a disaster. The total casualties for the morning’s fighting were 17 officers and 349 men killed or died of wounds and 21 officers and 728 men wounded or missing; over 1,100 “Lowther’s Lambs”. Nearly 100 towns, villages and parishes in Sussex were affected by the fatalities on the Boar’s Head battlefield, but the greatest number of dead came from Brighton and Eastbourne. “…truly, this was the day Sussex died.” (Albert Banfield). 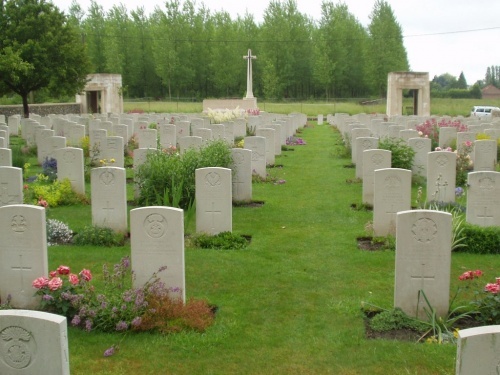 The majority of those Sussex men who were killed are buried at cemeteries near Richebourg. There is no memorial to the Battle of the Boar’s Head in Britain.